Powerful films related to wireless communications, including cell phones, cell towers, wifi, smart meters and rfid. In fact they have become so prolific in some parts of the world that they disappear into the landscape with the same subtlety as cars on the street. And those that don’t ‘disappear’ are cleverly disguised as chimneys, flagpoles, or water towers. Thanks to the current explosion of artificial electromagnetic waves, some people are seeing their lives seriously affected – both socially and as far as their health is concerned. They are known as “electrohypersensitive”. They have to protect themselves against mobile phone technology but where can they go? Marc Khanne, the film’s creator, spent 3 years researching this issue and interviewed over 60 people affected. Before we question the validity of what they have to say, what if we took the time to really listen to them? Are Xrays and Cat Scans exposing people to too much Radiation that trigger cancer and emf sensitivity? One Cat Scan = 300 to 400 X-rays. A special report done by a Canadian woman on a quest to find the answers. A breathtaking rundown of the human microchipping agenda. Concise and effective, it breaks down the coming global information control grid in all its horrifying detail. Scarier than any horror movie could be because it is real and documented. 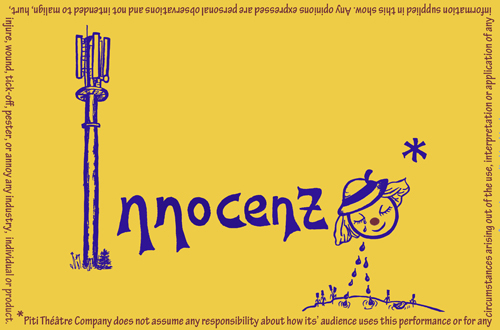 Innocenzo blends live music, humor and magic to tell the tale of a clown who falls sick. After visiting many doctors and healers unable to explain his bewildering symptoms, he finally understands his illness is being caused by electromagnetic pollution and begins to heal . . . The show is joyous, poetic and for all ages. The story is inspired by the real life experience of its’ co-creator Godeliève Richard. 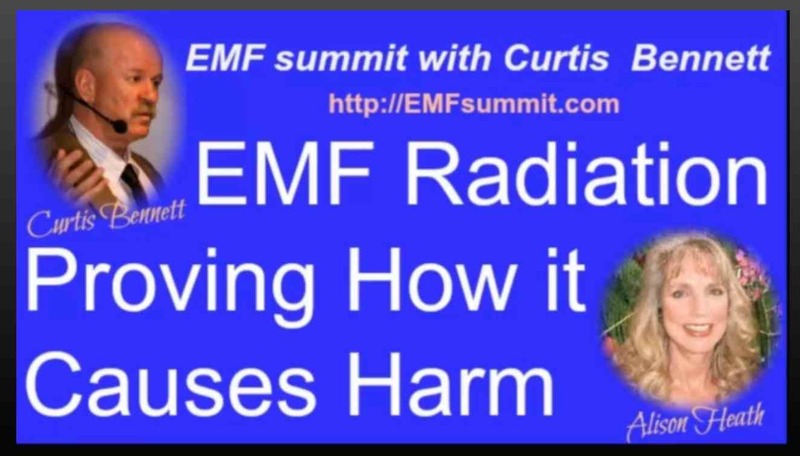 Curtis Bennett explains how and why emf radiation causes harm. The World Health Organization classified cell phone radiation as a class 2B carcinogen because they could not establish the cause. Now the cause has been established from an electrical perspective. MICROWAVES SCIENCE AND LIES – Trailer from Septième Factory on Vimeo. Trailer of the movie “sensitive”. 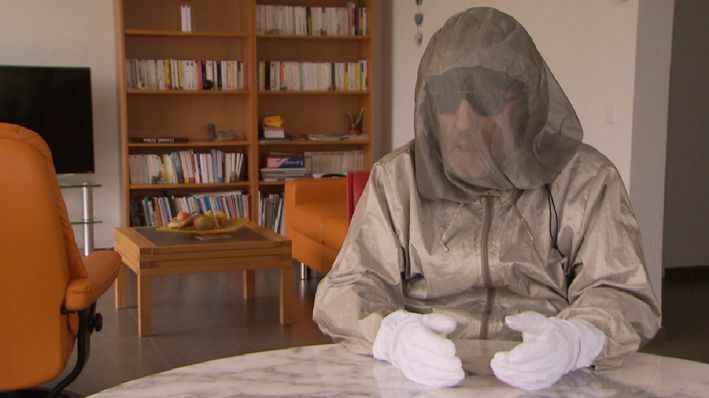 The First Italian documentary on MCS (multiple chemical sensitivity) and electromagnetic hypersensitivity (EHS), produced by officinemedia – ideas in production in collaboration with Italian Association electrosensitive, remedia diseases and disabilities, environmental committee lecce cable. It will be released in 2017. Photography by Matteo De Martini. This excellent 55-min. 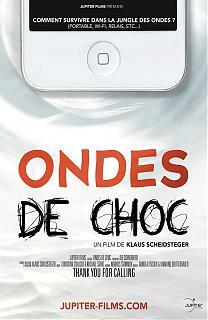 documentary is now available for viewing on-line in French. 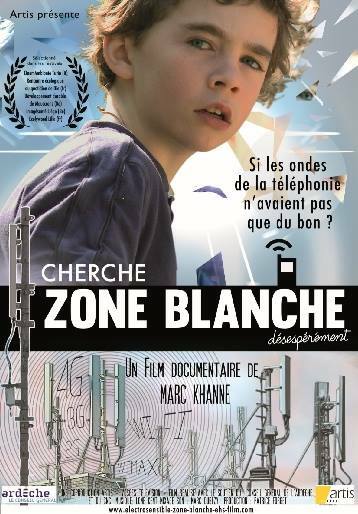 I am sending you the recording of the round table which gathered this evening Professor Dominique Belpomme, a very prominent specialist in electrosensitivity, and Klaus Schiedsteger, director of the film “Ondes de Choc”, about mobile telephony, and whose c was the preview today. To give you a summary of what has been said, the recent decline observed of 3.9 points of IQ in France and 6 points in the US, in the under 17 years, mostly due to the excess wave mobile – dect – wifi, epigenetic effects: dna rupture, possible modification of gene expression, with carcinogenic risk, but in the same way that smoker’s cancer does not appear before x years of cigarette smoking, there is and will be a delay effect. Pregnant women or with babies in the arms and under 12 years should ABSOLUTELY NEVER use such cell phone, dect, wifi, except in cases of extreme urgency, and ONLY THIS. For everyone, remove the wifi dect at home, and put back a cable connection and a house phone with wire. 20 MNS MAXIMUM of calls with a cellphone or dect against the ear BY DAY, IN TRANCHES OF 5 MNS MAXI. The headset increases the amount of harmful waves emitted to the brain, this is ultra confirmed. Use the speaker as much as possible. Analogy with cheating on diesel engines, in the sense that the Das (Specific Absorption Rate) declared by the manufacturers are Das measured in the optimal conditions of laboratories, but it appears that under the conditions of actual use, the brain actually picks up at least 3 to 5 times the MAXIMUM VALUES EDICTED. Especially no digital baby monitor to check that baby sleeps well.All this is very generator of free radicals, very destructive of their immediate environment, in this case the matter of the brain. corruptions and other not-so-good practices of the telephone industry, manufacturers have appealed and try to save time. Additional information, a researcher listened to a few years ago at the Forum 104 and working on the Kirlian process estimated that even off, it was necessary to put his mobile phone at least 6 meters away during sleep because otherwise it had a disruptive effect on the electric field of the body. Thank you if you forward to remove my name or email address, I prefer to remain in a quiet and a certain anonymity for the moment and continue to my humble measure and rhythm, my questions ..
Well to all, high hearts, and then, I do not know, it will be at worst, one day, a story of knowing how to do the “round back” the necessary time, since anyway everything passes. “Physically speaking, you can not do much against this force that will still make and break states, generate an unprecedented economic crisis, shake social classes, religions and climates, to finally try to reign over the confusion. Mobile telephony has quickly become established worldwide as an irreplaceable communication technology. Similar to smoking, however, possible fatal consequences can only be seen after decades of constantly increasing radiation exposure. The documentary THANK YOU FOR CALLING by Klaus Scheidsteger takes the audience behind the scenes of international research, industry lobbying, and current claims for damages in the US, which are largely ignored by the media. The film traces concealment tactics in the mobile industry and accompanies the struggle of some scientists who have been doing research in this field for years, but have only recently begun to hear. 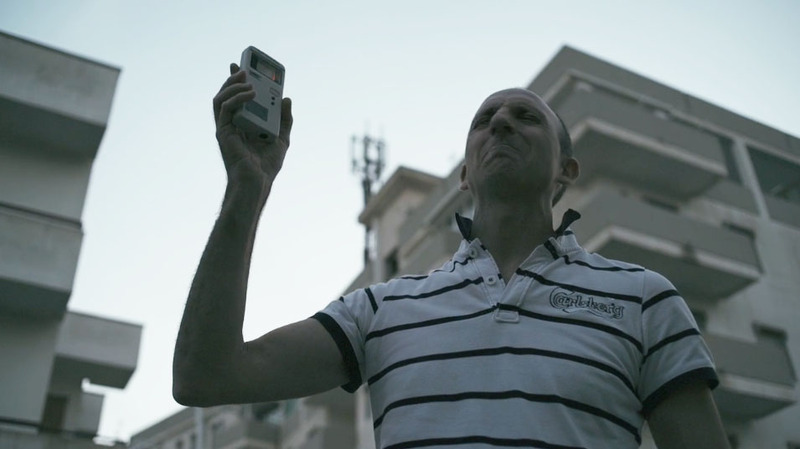 The aim of this documentary thriller is that the world’s more than five billion mobile phone users can make their own, objective picture of the current research, which is not colored by the industry. THANK YOU FOR CALLING does not just look for serious signs of potential health risks, but also asks why this research has barely caught on to public perception. Based on facts, insiders and exciting protagonists, the film reconstructs a large-scale strategy of the mobile communications industry. As the example of the auto industry has once again shown, large industries are not interested in bringing objective measurement results to the public eye. This is always politically tolerated sleeps, where it comes to billions in sales and many tens of thousands of jobs. However, research by renamed radiation researchers shows that cell phone radiation and gene damage can be caused by cell phone radiation in certain circumstances under certain circumstances. In the United States, several claims are currently being brought against the mobile industry, which have been brought into a class action lawsuit by the Washington DC Superior Court. Brain cancer patients want to prove that the radiation exposure of mobile phone use is partly responsible for their illness. The documentary filmmaker Klaus Scheidsteger embarks on an extensive research, in which he allows the audience to participate in a mix of TV archive material, re-enacted scenes and original encounters. A document leaked to him is smashing: In the so-called “War Game Memo”, drafted by a US lobbying agency, the mobile industry was given direction in 1994 for dealing with critical science worldwide. It is a strategy, the best practice of the world and the world of the world. Scheidsteger finally meets one of his protagonists in Washington DC. George Carlo, adviser to Bill Clinton and Barack Obama on the American health care reform. Client of Dr. med. Carlo was once the powerful global mobile industry association, the CTIA. He received $ 25 million to fund a large-scale research project designed to definitively prove the safety of mobile phone use. But Carlo and his team did not find the desired results, but alarming effects: cell reactions that can lead to cancer. Dr. Carlo wanted to go public with his findings. He then became the victim of “War Game Memo” and an unprecedented smear campaign against his scientific integrity. Today, he advises the law firms of the class action lawsuit against the CTIA. Dr. Carlo Put together a representative group of scientists from Vienna, Athens and Bratislava who have identified potential health risks. Cell phone use is by no means as risk-free as industry would have you believe. However, scientists are also looking for solutions and advances for consumers, as technology has undoubtedly become difficult to replace today. But in a way, all of them share a similar fate: because industry can not confess a problem, it fights with go power against critical science. And so the people are part of a global field trial. Faites votre propre opinion sur les micro-ondes…Reportage à caractère scientifique accessible à tous sur les dernières recherches scientifiques indiquant les mécanismes biologiques des effets potentiellement néfastes pour la santé des micro-ondes provenants des communications sans-fil. Il n’y a plus de débat scientifique, il ne s’agit plus que d’un enjeu financier versus la santé de la population… ARTV-France juillet 2009, Télé-Québec février 2010. Make your own opinion about microwaves … Scientific report accessible to all on the latest scientific research indicating the biological mechanisms of the potentially harmful effects on the health of microwaves coming from wireless communications. There is no longer any scientific debate, it is only a financial issue versus the health of the population … ARTV-France July 2009, Télé-Québec February 2010.